Quipmo Pty Ltd ACN 611 757 496 (“Quipmo” or “We”) manages the information that We collect from you in accordance with all applicable privacy legislation in Australia. Quipmo provides a unique, innovative, community-based online peer to peer equipment rental service. A failure by you to provide information requested by us may mean that We are unable to provide some or all of our services to you. Quipmo collects personal information when you register with Quipmo. This may include, but is not limited to, your name, address, phone number, contact details, birth date, gender, credit card and account details, occupation and interests. We might also give you the option of providing a photo or video to be associated with your Quipmo user profile. If your personal details change, it is your responsibility to update your Quipmo account with those changes, so that We can keep our records complete, accurate and up to date. You are not anonymous to us when you log into the Site or post any content (including listings, comments or feedback) on the Site or any associated forum. 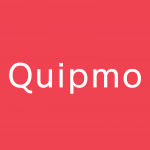 To enable us to improve our existing services and to create new service features, Quipmo may collect, and share with other users and service providers on Quipmo, information about the way you use our services, including (but not limited to) the transactions you enter into on the Site, your feedback rating (including any references requested using our ‘Reference’ feature), the rentals you make, the comments you post, and the transactions you enter into with our valued affiliate service providers. your username and all the material that you post is visible to other Quipmo users and is also publicly available to other internet users. We strongly encourage you to use caution and discretion when posting. Quipmo does not in any way control, and does not accept any responsibility or liability whatsoever for, the disclosure or use of personal information which is voluntarily posted by you in any publicly accessible area of the Site. Quipmo may also receive and record information from your internet browser and computer, including IP addresses, cookies (see section 2 below), software and hardware attributes and your page requests. In addition to data collected from your submissions, we may also collect data on your internet behavior from Facebook, other social media sites, and other services. If you use a location- enabled Quipmo service, We may collect and process information about your actual location (for example, GPS signals sent by your mobile device). We may also use a range of different technologies to confirm your location. to generate data reports on an aggregated, non-personally identifiable basis, for both internal and third party use, but subject to any applicable laws (for example, We may show advertisers or investors trends relating to the general use of Quipmo’s services). Your contact information may also be used for accounting, invoicing and billing purposes, marketing purposes, by third party service providers to Quipmo, and to respond to any enquiry you make, in some cases information we collect is transferred overseas. When you contact Quipmo, We may keep a record of the communication(s) between you and Quipmo to help resolve any issues you might have. If other user(s) of the Site already have your username (or other information identifying you), and you have chosen to upload a photo or other personal information to your Quipmo account, We may show those user(s) that personal information. If you have registered on the Site then your computer or device may store an identifying cookie or anonymous identifier, which can save you time each time you re-visit the Site, by accessing your information when you sign-in to Quipmo. You agree that if you change the settings on your internet browser to block or restrict cookies (including cookies associated with Quipmo’s services), or to indicate when a cookie is being set by Quipmo, the Quipmo Services may not work as intended. You should remember that, while you may still be able to use the Site if your cookies are disabled, our services may not function properly on your device and you may not be able to take advantage of certain Quipmo features. Third-party vendors, including Google, may show Quipmo ads on sites across the Internet. When you register on the Site you may be given the opportunity to elect (“opt-in”) to receive updates on our latest services, news and special offers, and those of our valued affiliate service providers (“Marketing Material”), via your Quipmo account, personal e-mail address, post or telephone. If you conclude a transaction on the Site, you may also be given the opportunity to opt- in to receive Marketing Material from Quipmo and our valued affiliate service providers. Once you opt-in to receive Marketing Material, You may, at any time, opt-out of receiving Marketing Material. To opt-out of receiving Marketing Material, You can click on the “unsubscribe” link in any email containing Marketing Material that We send you. Quipmo uses Remarketing with Google Analytics to advertise online. Using the Ads Settings in a personal Google account, visitors can opt-out of Google Analytics for Display Advertising and customize Google Display Network ads. Marketing Quipmo and third-party vendors, including Google, use first-party cookies (such as the Google Analytics cookie) and third-party cookies (such as the DoubleClick cookie) together to inform, optimise, and serve ads based on someone’s past visits to the Quipmo website. Quipmo reserves the right to send you administrative and account-related messages that you may not opt-out of. To cease all communications to you from Quipmo you must close down your Quipmo account. you make request(s) that are unreasonably repetitive, require Quipmo to make a disproportionate technical effort (for example, to develop an entirely new system), risk the privacy of others, or would be highly impractical to comply with. If you wish to access the personal information We hold about you, or to delete your Quipmo account, you should contact us here.